The torrential rain that accompanied Hurricane Bertha in August left a number of changes in the Cairngorms in its wake. River courses were altered, bridges were washed away on the Derry at Derry lodge and on the Quoich, tracks and paths were damaged and rock fall left the Goat Track in Coire an t-Sneachda in a dangerously unstable condition. By the time Mountain Views is published, the full extent of nature's wrath will be clearer, as will any plans for remedial work. We can only speculate as to whether man's interference with the climate had a hand in the fierceness of this event. It does, however, appear very likely that human carelessness with a barbeque was the cause of the extensive fires in the Derry Lodge area in June. There is little to report since the last edition of Mountain Views. It is now clear that Perth and Kinross Council and Highland Council are not applying the principle that tracks should be removed and a number of applications by estates have now been approved. Highland Council approved the retention of a section west of Cannich which NEMT had objected to. No applications for significant stretches of track have been submitted over the summer. A real test will come if applications are made to keep tracks created over the Corrieyairack. In the light of the stance taken by these two Councils, the Cairngorms National Park Authority is to be commended for rejecting proposals to retain tracks within the Park boundary (see Mountain Views 69). Natural Retreats, describing itself as "a specialist leisure and travel company", has taken over the operation on Cairngorm Mountain on a twenty five year lease; Highlands and Islands Enterprise remain the owners of the area, the funicular and the infrastructure. in the long term, the company talks of trying to attract the summer and winter X Games. These events, managed by an American commercial sports broadcaster, focus on so-called "extreme sports" and are renown for featuring new tricks in various disciplines. The winter version concentrates on snow sports and the summer version has featured such activities as BMX riding, skateboarding, mountain biking and motocross. While readers of Mountain Views may welcome improvements in the infrastructure in the ski areas and some development of visitor attractions such as increased activities for children, there is much within the company's hyperbole which sets alarm bells ringing. Natural Retreats claims that we have "an obligation to expose ourselves and our children to the true beauty of nature"; no argument with that but how this fits with an increase in mass activities and commercialisation and how the wilder, fragile areas around the site can be protected from the overspill of some of the activities proposed is not addressed by the company on the Cairngorm Mountain website. Vertical Descents, a commercial outdoor activity company, has developed a via ferrata on a cliff near Kinlochlochleven. NEMT has no concerns about this particular development but has been in touch with the Mountaineering Council of Scotland as plans might emerge to develop via ferratas on cliffs traditionally used for climbing or in wilder or environmentally sensitive locales. Please let NEMT known immediately if you get wind of any potential developments. In its manifesto before the 2011 elections to the Scottish Parliament the SNP stated that it would "work with communities to explore the creation of new National Parks". Despite this commitment, the Scottish Government has not taken the issue forward and recently stated that the case for more Parks has not been made. The matter has been pursued with vigour by the Scottish Campaign for National Parks and the Scottish Association for the Protection of Rural Scotland. The document published by these organisations, Unfinished Business. A National Parks Strategy for Scotland lays out the case for change. NEMT supports the creation of more National Parks but only if there is an independent review of the operation of the two existing Parks. NEMT feels that the balance between economic development and the protection of the environment is out of kilter in the Cairngorms National Park with the former, although critically important, being given priority over environmental issues in too many instances. On a blustery day in April this year, with plenty of snow still around, I was descending by myself south east from the summit of Glas Maol when I had the rare privilege of seeing a snowy owl. Although not a bird watcher, I take a keen interest in the wild life in the hills and the creature was unmistakeable, being quite unlike any other mountain bird I have seen. Pure white, it was perched on the ground around fifty yards away. Unfortunately I did not have a camera. We watched each other for a few minutes and then it rose into the wind on its long wings and disappeared round the side of the hill. 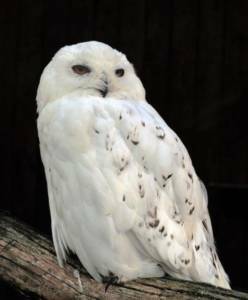 Normally found in Scandinavia and Greenland, snowy owls are only occasionally seen in Scotland and last bred here in 1975. Most NEMT members will not be particularly exercised by the governance of the organisation, however the General Council must ensure that the arrangements in place are the most appropriate. With this in mind, the General Council has decided to that it is in the best interests of NEMT to become a SCIO (a Scottish Charitable Incorporated Organisation). This will require a new constitution and the approval of the membership. Full details will be circulated to members in due course. NEMT has a healthy membership of around 100 individuals and eight clubs, in total nearly 800 people. However, as noted in the last Mountain Views, we are always keen to increase our support. This is not solely for financial reasons but also because the greater the number of supporters we have, the more seriously politicians and public bodies takes us when we campaign to protect the interests of hill goers. If members know of individuals who might be interested in joining, please give them the membership form at the back of the magazine. If people know of walking or climbing clubs which might join, please let us know directly as members of the General Council can attend club committee meetings to discuss the advantages of membership. Our long serving treasurer, Gordon Strachan, has decided to stand down after this year's AGM on 2nd December. Our grateful thanks to Gordon for all his help and hard work over the years. We need a treasurer! The task is vital to NEMT's work but is not too onerous. Anyone interested in this or other posts on the General Council should email nemt.info@gmail.com, giving a phone number, and a member of NEMT's Council will contact them to discuss.